Lewis Hamilton set the pace in first practice for Formula 1's returning French Grand Prix, as the opening session was ended early by a fiery crash for Marcus Ericsson. 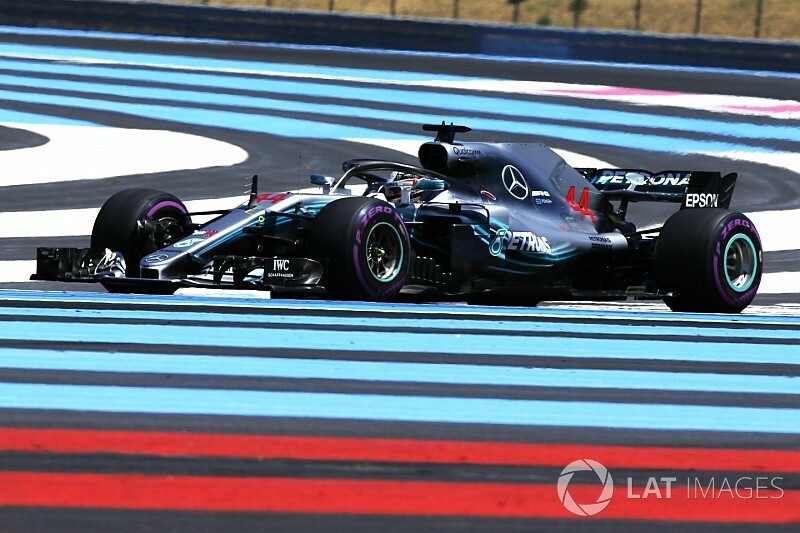 Hamilton edged Mercedes teammate Valtteri Bottas by just over a tenth at Paul Ricard, with Daniel Ricciardo third for Red Bull and the Ferraris considerably off the pace. A session filled with mistakes was ended a couple of minutes early when Ericsson suffered a heavy shunt at Turn 11. The rear of his Sauber seemed to snap away as the Swede downshifted for the looping right-hander, and he slid across the run-off before slamming into the wall. It sparked a fire on the right-hand side of the engine, and Ericsson was able to get out of the car before marshals arrived to extinguish the flames. That was the most dramatic incident in an error-ridden opening practice. Brendon Hartley, Kimi Raikkonen and Stoffel Vandoorne all had early spins at Turn 6, a long right-hander with a big kerb on the inside, apparently victims of changing wind direction. Ericsson had his first moment when he lost the rear of his car through the penultimate corner Turn 14, the long left-hander that tightens before an acute final corner leading onto the main straight. His teammate Charles Leclerc came to a halt sideways after half-spinning through Turn 1 moments later. Hamilton did not spin in the opening hour but did have a bumpy, dusty off-track moment on the entry to the Mistral chicane on the two-part back straight. He caught a "dangerously slow" Vandoorne while running at full speed and had to take to the plentiful run-off area in avoidance, while the Belgian blamed his McLaren team for not updating him on traffic. Ricciardo led at the halfway stage, before Bottas used a new set of ultrasofts to first close to 0.030s behind then move ahead by 0.010s a 1m32.566s. He was then displaced by Hamilton, who settled into top spot on a 1m32.273s before improving marginally again to a 1m32.231s. 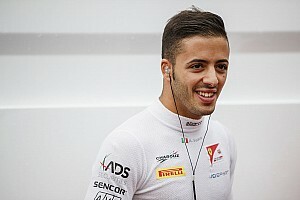 Ricciardo was shuffled to third but finished comfortably clear of the two Ferraris, with Raikkonen half a second slower than the Australian. 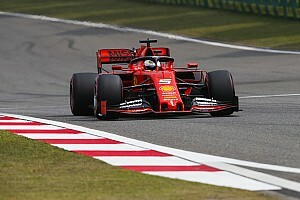 Vettel only just managed to lap within a second of Hamilton's best to finish fifth, and was barely a tenth quicker than the Haas of Romain Grosjean. 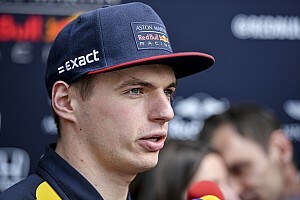 Max Verstappen spent most of the first hour of the session in the garage but emerged in the final 30 minutes to get himself into ninth. 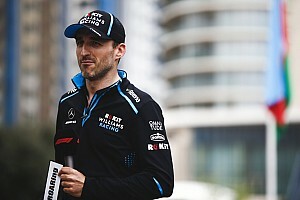 A succession of late improvements then lifted him to seventh, ahead of Pierre Gasly, who edged Force India's Sergio Perez for seventh. Gasly is being investigated for using one set of tyres beyond the 40-minute limit. His Toro Rosso blamed it on a loss of communication to his car, which stopped them being able to get Gasly to pit. 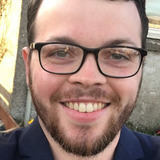 Kevin Magnussen completed the top 10, having survived a near-miss with Perez when they almost tripped over one another when the Haas was on a slow lap. Mistakes continued in the second half of the session, with Esteban Ocon just missing the barrier after sliding off-track at Turn 6. Leclerc also had another incident in the second-half, this time going off track at Turn 8, before Ericsson suffered his off with greater consequences.